Targeting DNA repair mechanisms to induce apoptosis may be a promising strategy for breast cancer treatment. Olaparib is proved to have anticancer effect by inhibiting DNA repairing protein poly (ADP-ribose) polymerase (PARP). However, the cytotoxicity of olaparib is very limited to homologous recombination-proficient cells. This study aims to examine the effect and mechanism of olaparib treatment in breast cancer cell lines. We investigated the cytotoxic effect of various doses of olaparib treatment to MCF-7 and ZR-75-1 cells in vitro. mRNA and protein levels of PARP and APE1 were examined by real-time PCR and western blot, respectively. APE1-deficient cell lines were created by RNA interference and used for in vitro cytotoxicity study as well as in vivo study. 2 µM or higher concentrations of olaparib lead to significant cell death and ROS production. Moreover, olaparib treatment not only inhibits PARP1, but also reduces the expression of APE1 in both mRNA and protein levels. Deficiency of APE1 resulted in increased sensitivity of MCF-7 and ZR-75-1 cells to olaparib treatment. In vivo study showed that reduction of APE1 significantly reduced the volume and weight of MCF-7 xenografted tumors when treated with olaparib, which suggests the synergistic function of inhibition of APE1 in promoting antitumor effects of olaparib treatment. 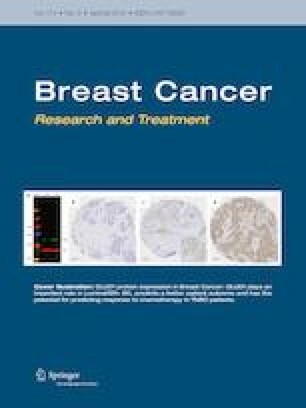 To acquire better benefits for HR-proficient breast cancer patients, developing chemotherapeutic drugs antagonize APE1 would be an effective strategy to improve the clinical outcome of PARP inhibitors. Xiaobin Ma and Chengxue Dang have contributed equally to this study. This work is funded by the Natural Science Foundation research project of Shaanxi Province, China (No. 2015JM8430), and the International Cooperative Project of Shaanxi province, China (No. 2016KW-008).